So I am delighted to share with you a whole string of hopeful financial news about the NC Synod, especially since I issued a desperate plea—and you responded—when we were nearly $175,000 in the hole three years ago. Let’s start with Mission Support. The deficit of 2015 has morphed through your generosity into almost a comparable surplus for 2018. Synod staff and the Finance Committee will make recommendations to Synod Council at our March meeting as to how we release that extra stored servanthood (money) for our mission as the NC Synod. Thank you! You may know we are the first synod ELCA-wide to participate in the “Stewardship for All Seasons” (SAS) program that is designed for congregations. Nearly 40 of our congregations have participated, and the huge majority of them have realized double-digit percentage giving increases to their congregations. A basic directive of SAS is telling your constituency what you would do if you had more resources. We did that as a synod for our 2019 budget. I mean, what would it have looked like if we had a campaign to share more resources to pursue our new synodical vision but then presented Synod Assembly with a flat budget? No, we asked for more for 2019. A lot more, in fact, and we told you why. And you stepped up. In fact, the 2018 surplus almost exactly matches our synod’s 2019 budget increase. Thank you! By the way, the next SAS cohort of congregations begins in May 2019, and this month Pastor Mike Ward will be holding a brief webinar to encourage congregations to participate. We highly recommend it. You may learn more about all this on our SAS webpage. As they say on TV, “But wait! There’s more!” The Southern Seminary Opening Doors campaign to fund scholarships for NC Synod candidates to attend Southern has reached $1.4 million of its $2 million goal as of today. We have been invited to apply for a three-year extension to our Faith, Finances, and Freedom Lilly Endowment Inc. Grant (LifeLine Fund) and are working on that now. And in the past six weeks we have learned that we are receiving four grants that will make possible even more new and much-needed ministry in, through, and for the NC Synod. The first grant, from the ELCA, is for $44,000 ($22,000 for each of 2019 and 2020) and has made possible our bringing Pastor CeCee Mills onto our synod staff at 15 hours/week for these two years. She started this week. Her main responsibility will be the highly-relational and much-needed yoking process (sharing a pastor) for congregations who cannot afford a full-time pastor with benefits. We already are doing some, but we will be doing more and more. We are grateful to have Pastor CeCee on our synod staff in addition to her ELCA half-time multicultural responsibilities and to the ELCA. We learned also in December that we had received in conjunction with Lutheran Services Carolinas (LSC) a leadership grant to help train managers (LSC) and pastors who move into more complex ministry settings. A large focus of this will be staff supervision and general management skills, which one cannot assume of a pastor since seminaries don’t focus on this. Though the grant came to the NC Synod, we have not yet worked out the details of who within the NC Synod/LSC structure will manage this leadership training. This grant is also from the ELCA. We are grateful! The third grant from the ELCA is an $80,000 grant for moving forward our Women in Ministry conversations in the wake of the much-viewed “Seriously?” video and in preparation for the 2020 celebration of the 50th anniversary of the ordination of women as pastors in the ELCA. This grant, though it came to us to manage, is really for all of Region 9 and will include a Region 9 women in ministry gathering as well as a number of other projects for which we encourage you to stay tuned. We are grateful! A fourth grant came to us from Lutheran Disaster Response (LDR). You may remember that Deacon GeoRene “Jo” Jones is called by the NC Synod half-time to work in Social Justice and Advocacy. The LDR grant will pay for us to engage Deacon Jo an additional 15 hours per week for the next two years to work in the area of ongoing LDR hurricane relief in eastern NC in addition to LSC’s relief work. We are grateful! I would be remiss not to note that, though our staff worked collaboratively, all three of the ELCA grants were submitted by our DEM, Pastor Danielle DeNise. We are grateful for her work as an ELCA-called pastor deployed here to the NC Synod and for the churchwide/synodical partnership which she embodies. 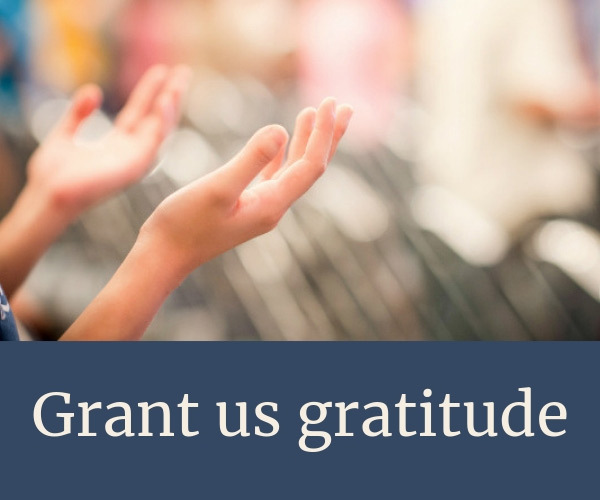 We consider it a blessing, a privilege, and a sacred trust that we have these grants and their translations into needful ministries entrusted to us by our churchwide organization. Things are happening in our synod in the name of Jesus through the work of our church for the sake of the world. We are grateful!